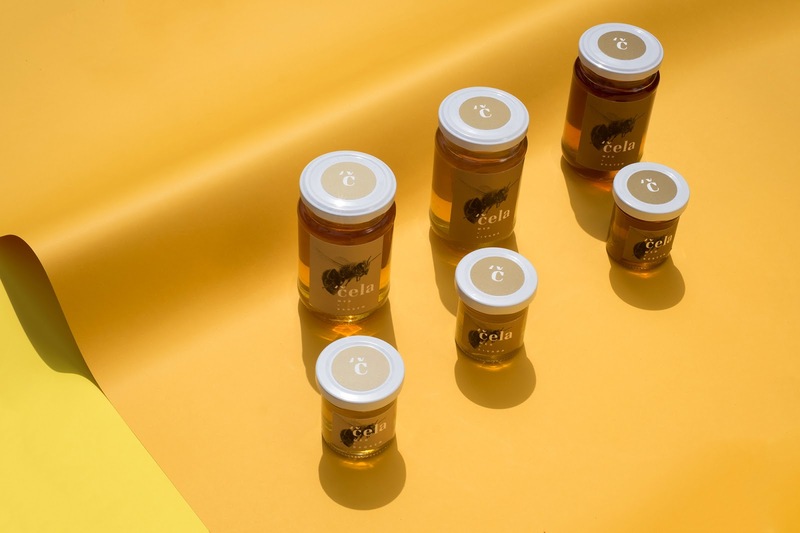 'Čela Honey is a product of a small family farm specialised in the production of honey and its derivates. 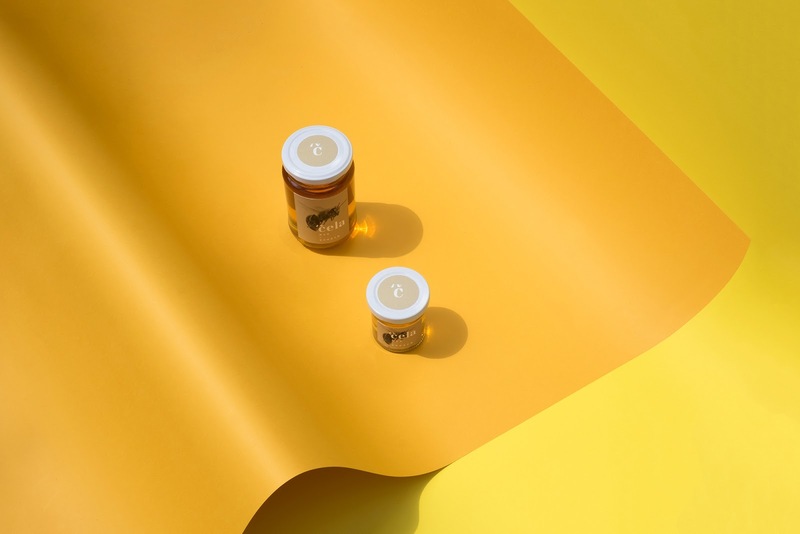 They approached Maji Studio with the task to create a verbal and visual identity as well as packaging for a line of different kinds of honey. The only restriction they gave us was to incorporate a picture of a bee somehow. 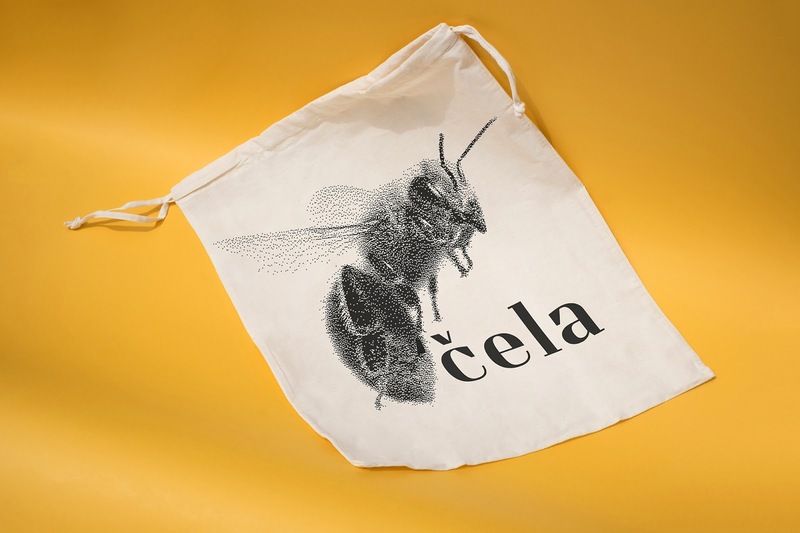 So, we came up with 'čela name which is shortened word for pčela - bee in Croatian. 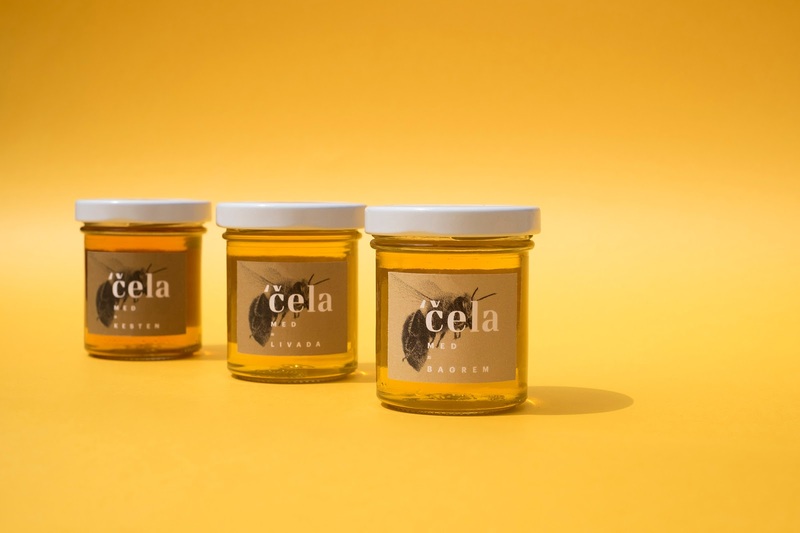 'Čela is a word commonly used in slang, but nobody seemed to be using it for a registered product. So we went for it. The new step was the creation of the visual side of the story. We decided to go with earthy tones. 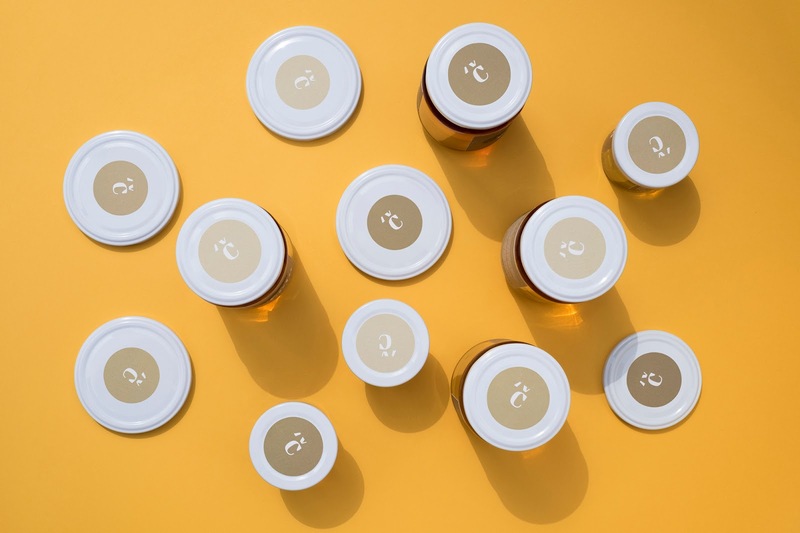 We have a specific tone to each honey type. The restriction about bee representation was solved by using bitmap illustration of a bee. This looks really good especially on larger sizes (i.e. on a bag). 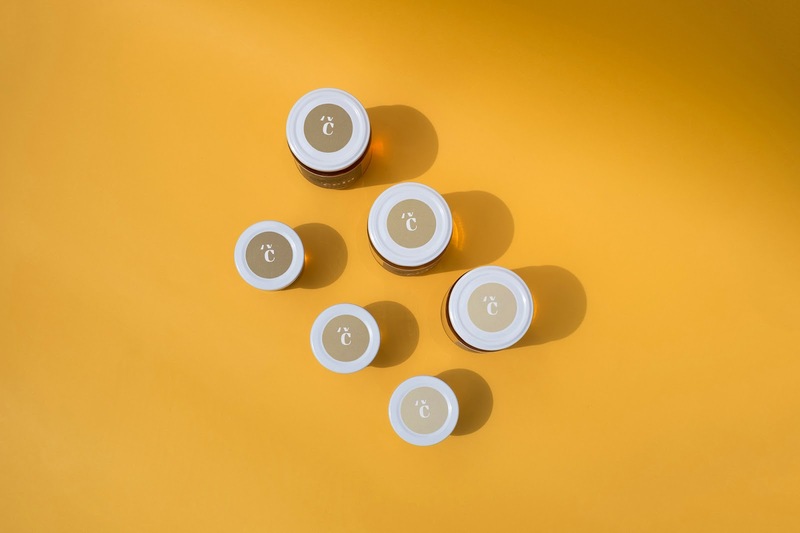 Typographic part of the label goes for clean and clear expression. 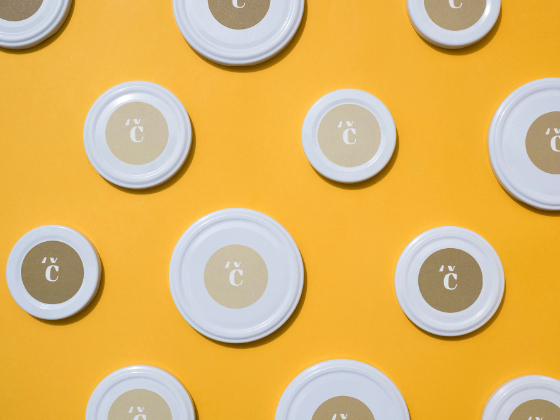 We achieved it by using our own typeface County for the logo (name 'Čela), and we paired it with clean sans serif for the information. So... Each label "looks the same" but they are clearly distinguished by colour and text. The uniqueness of this design in Croatian market comes from its clean and simple approach. 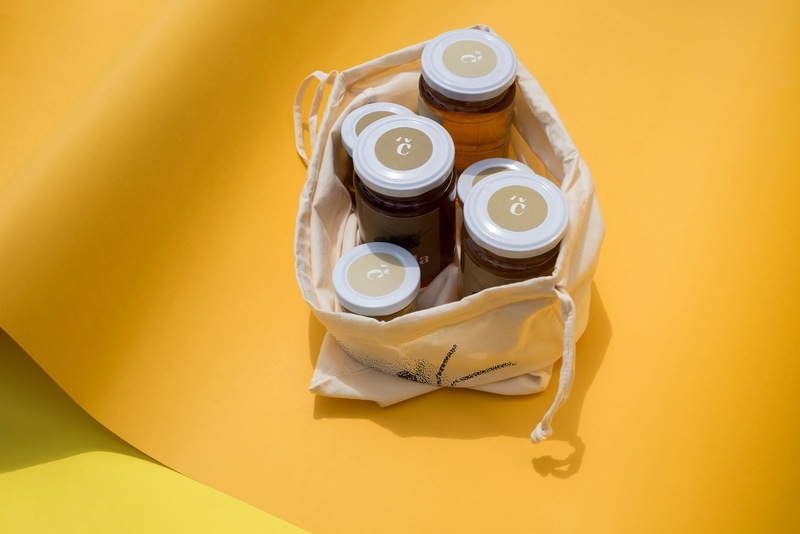 Most of the competitors packaging is cluttered, often uses bad bee photographs and typography that makes those products look unprofessional and dull. 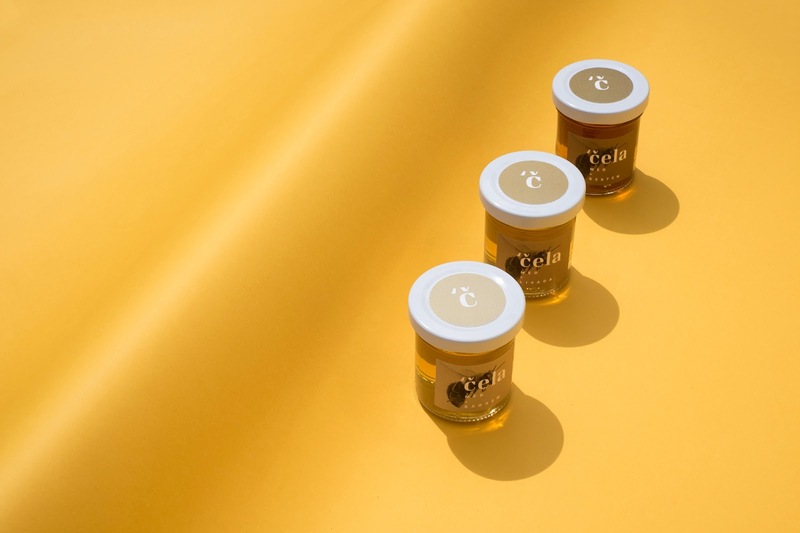 All of this makes 'Čela stand out from the competition.